In a post on the deanandbritta.com blog yesterday Dean Wareham announced the first non-Dean & Britta releases on the couples Double Feature Records imprint. 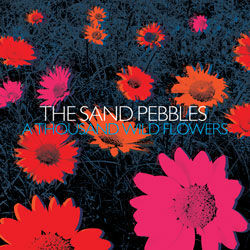 On February 17th A Thousand Wild Flowers by Australian band Sand Pebbles will be released, the album is a compilation of "the best songs" from their three out of print albums. The album is available to pre-order from the deanandbritta.com web shop. On March 31st the debut album by Cheval Sombre will be released. The album is being produced by Sonic Boom and will feature contributions from both Dean & Britta. Double Feature Records has a MySpace page where you can preview a track by each band and keep up to date with Double Feature news.